If you are interested in exploring Canada and New England, why not consider taking a cruise holiday in this part of the world? Canada & New England cruises are featured which can give you a nice introduction to a variety of interesting sites. For example, if you are looking for things to do in Bar Harbor, you are not alone. Bar Harbor is a lovely Maine town, located on Mount Desert Island in the United States. Beautiful estates and elegant buildings remind visitors of the regal history of this Maine enclave. If you choose to take one of the Canada & New England cruises featured online, you will find that you are able to explore a number of Canada & New England cruise ports. At each port destination, you can also participate in activities such as whale watching, kayaking, and visits to Acadia National Park. Indeed, Canada & New England cruises provide an exciting way to spend a holiday whenever they are taken, regardless of the time of year. However, if you want to enjoy temperate weather, you will want to book a cruise during the spring, summer, or fall. In addition to Bar Harbor, cruise guests can stop at ports such as Portland, Maine, Saint John on the Bay of Fundy, and Halifax. Many of the Canada & New England cruises begin and return to New York City, which is yet another exciting destination to include on your cruise itinerary. 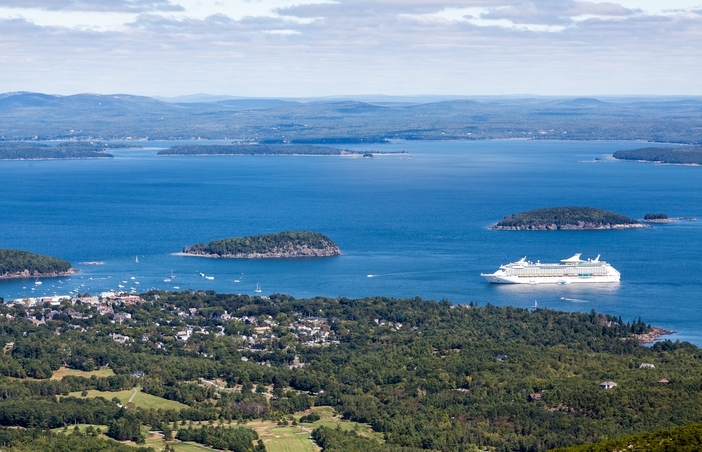 Bar Harbor, which was originally established as Eden in February 1796, is a seashore community famous for its fresh-caught local lobster and its charming villages. 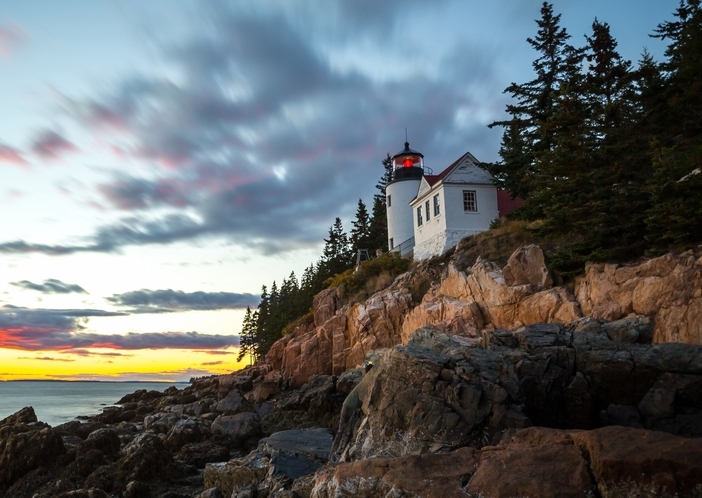 If you enjoy kayaking or hiking, you will want to set your sights on Acadia National Park, which takes up a large section of this stunning coastal town. Another place you will want to visit during your shore excursion is Bar Harbor’s Shore Path. This picturesque walkway was originally established around 1880 and begins near the Bar Harbor pier and Agamont Park. It spans about half a mile along the town’s eastern shore. Directly across from the town pier is Bar Island, which can be accessed on foot when the tide is low. You can admire a beautiful view of Bar Harbor with its mountain backdrop on this side of the water. If you do choose to take this route, make sure you plan ahead so you do not become stranded and cannot make your way back. If you are interested in an exciting adventure, you will want to take advantage of the Canada & New England cruises and their adventure packages. 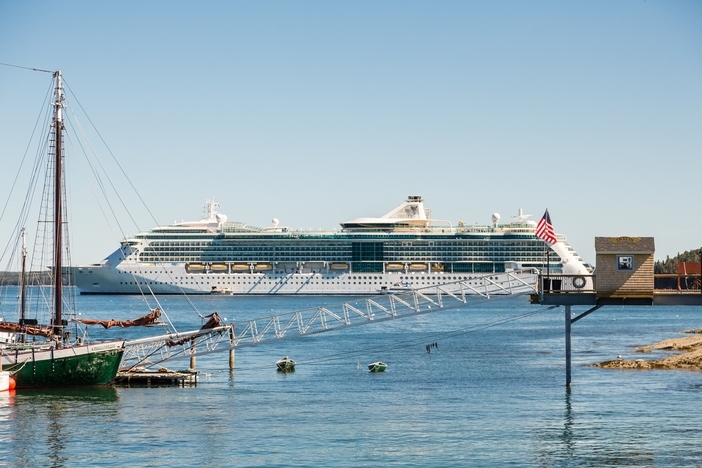 Book a cruise today at your earliest convenience. When it comes to a New England and Canadian holiday, this is the way to escape.